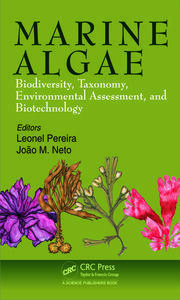 The most comprehensive resource available on the biodiversity of algal species, their industrial production processes and their use for human consumption in food, health and varied applications. Emphasis on basic and applied research, addressing aspects of scale-up for commercial exploitation for the development of novel phytochemicals (phytochemicals from algae). 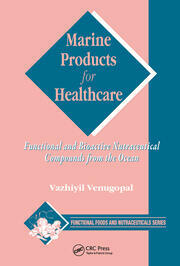 Addresses the underexplored and underutilized potential of chemicals from marine sources for health benefits. Each chapter, written by expert contributors from around the world, includes a Dictionary of Terms, Key Facts, Summary Points, Figures and Tables, as well as up-to-date references. The second book in this two-volume set explores phycoremedation applications, and the sustainable use of algae for biofuels and other products of economic value. It also looks at aspects such as macro- and micro algal impact on marine ecosystem and remote sensing of algal blooms. The commercial value of chemicals of value to food and health is about $6 billion annually, of which 30 percent relates to micro and macro algal metabolites and products for health food applications. 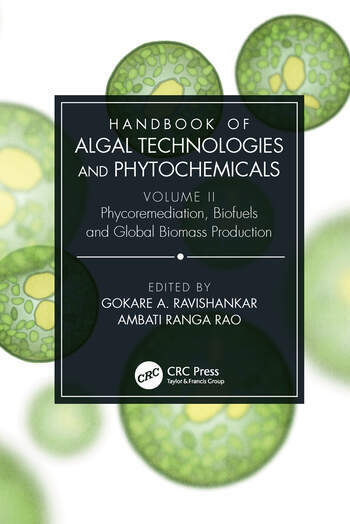 As a whole, the two volumes explore the aspects of diversity of micro and macro algal forms, their traditional uses; their constituents which are of value for food, feed, specialty chemicals, bioactive compounds for novel applications, and bioenergy molecules. Bio-business and the market share of algae-based products are also dealt with, providing global perspectives. Dr. G.A. Ravishankar is a Professor of Biotechnology, serving as Vice-President in Research and Development, Life Science division, Dayananda Sagar Institute, Bengaluru, Karnataka, India. Previously, Dr. Ravishankar worked as Chief Scientist & Head, Plant Cell Biotechnology Department, Council of Scientific and Industrial Research-Central Food Technological Research Institute, Government of India, Mysore, Karnataka, India. He has 35 years’ research experience in reputed national research laboratories. He has received international and national fellowships from various scientific boards, namely FAFST, FNASc, FNAAS, FBS, FSAB, FISAB, FAMI, FIAFoST (Canada), FIFST(UK), FIFT(USA). He is involved in various research fields such as Plant Biotechnology and Biochemistry, Plant secondary metabolites, Algal Biotechnology, and Food Science and Technology. His has more than 300 research papers in peer reviewed journals, review articles in peer reviewed journals, proceedings of symposia and seminar in India and abroad, and more than 40 chapters in books, 55 filed patents, 14 technologies developed, four books, and over 250 research papers presented in symposia in India and abroad, as well as over 200 invited lectures delivered in India and abroad. His papers have received citation by peer groups, with H index-53, and i-10 index of 196 with total citations of over 11,600 in Google Scholar. 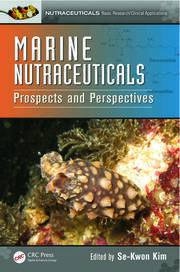 Dr. Ravishankar is actively contributing as editor and reviewer for various reputed international publishers. Dr. Rangarao Ambati is a Research Assistant Professor in Food Science and Technology Programme, Department of Science and Technology, Beijing Normal University-Hong Kong Baptist University United International College, Zhuhai, Guangdong, China. Dr. Ranga Rao has completed a Ph.D in Biotechnology from the internationally recognized laboratory Central Food Technological Research Institute (CFTRI) which is a part of Laboratory of Council of Scientific and Industrial Research (CSIR), Government of India, India. Dr. Ranga Rao worked as Research Scientist, Postdoctoral Research Associate, Senior Research Fellow at various International Universities in USA, Malaysia, China and India. He is involved in group through his expertise in biotechnology; biochemistry, and food science and technology. Dr. Rangarao has published several research papers in the leading international journals including book chapters. He is also serving as editorial board member, guest editor, and reviewer for reputed international journals. He attended international and national conferences/symposia, traveling to the USA, Canada, China, Malaysia, Indonesia, and Muscat. His research citation was 880 with H-Index (11), and I-index (11) as per Google Scholar. He received research grants, travel grant awards, and scientific awards internationally and nationally. He has contributed research work to biological sciences with research publications in international and national journals. He received Fellow of the Society of Applied Biotechnology (FSAB-India); Young Scientist Award-World Food Congress by International Union of Food Science and Technology (IUFoST, Canada); TWAS-Young Affiliate by Regional office East and South-East Asia and the Pacific (ROESEAP), Chinese Academy of Sciences, China; Young Biotechnologist Award by Society of Applied Biotechnology (India), and Junior Scientist of the Year Award by National Environmental Science Academy, New Delhi, India.